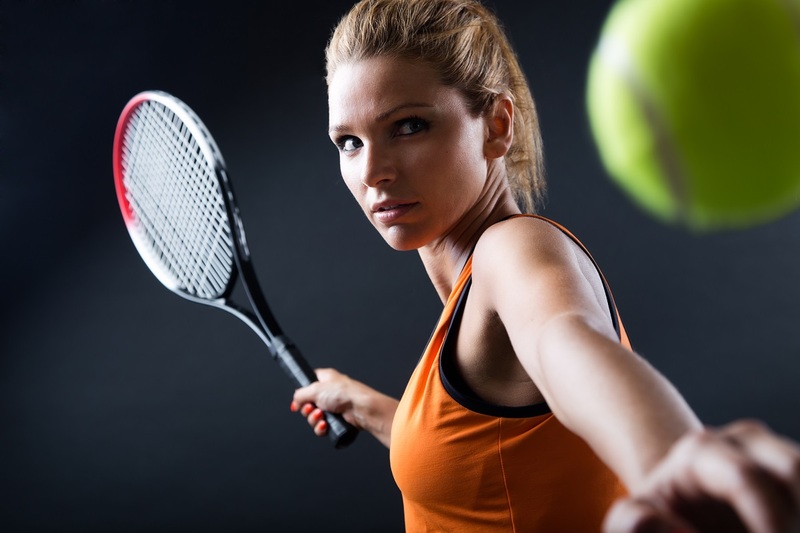 It is very difficult to make the tennis ball your main focus on the court. Often, players try to hit the ball to the openings on the court as well as trying to anticipate the next shot our opponents’ might hit. This tends to result in watching the court openings or the players, rather than the ball. Try playing a point only following the ball from your racquet to the opponent’s racquet and back. Repeat this over and over. Do not watch the players moving or swinging-keep all of your attention on the ball. This should allow you to react quickly as the shot is hit and give you a great chance to hit the shot that will get your opponent in trouble or win the point. You will also be focusing on the ball better, resulting in many more solid shots, a key to success in a match.